Have you ever saw the pictures? Valle de la Muerta ( Valley of the death) in San Pedro. Let me tell you something about it. This San Pedro, but most people imagine Atacama desert. This desert is the driest desert in the world. 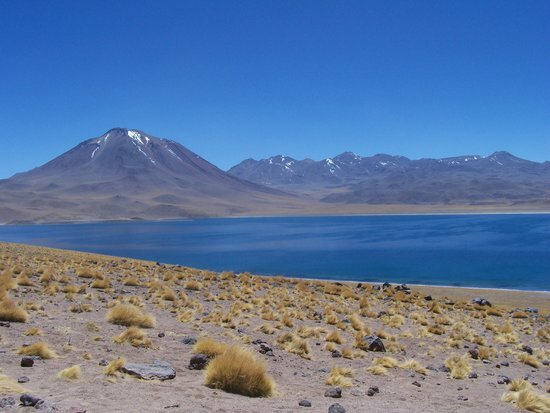 Atacama desert has not received a significant rain from 1570 to 1971. This is a good news because when you will be studying in Chile and you will visit it, you know you do not need raincoat. Secondly, it is a death zone for any type of vegetation because Chilean Costal Range and Andes maintains block all the moistures and nutrition. 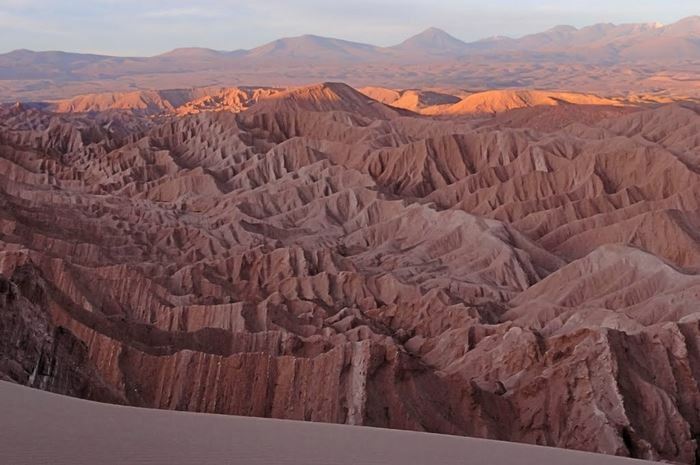 Atacama desert is the largest natural supply of sodium nitrate, which is used to produce explosives or fertilizers. The samples from Atacama desert are very similar to ones from Mars. 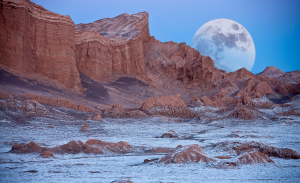 Because of this, Atacama has been practice ground for NASA and a lot of scene from Mars have been filmed here. The extreme temperatures are another interesting fact. The temperature can rach up to 104°F and then drop to 41°F. 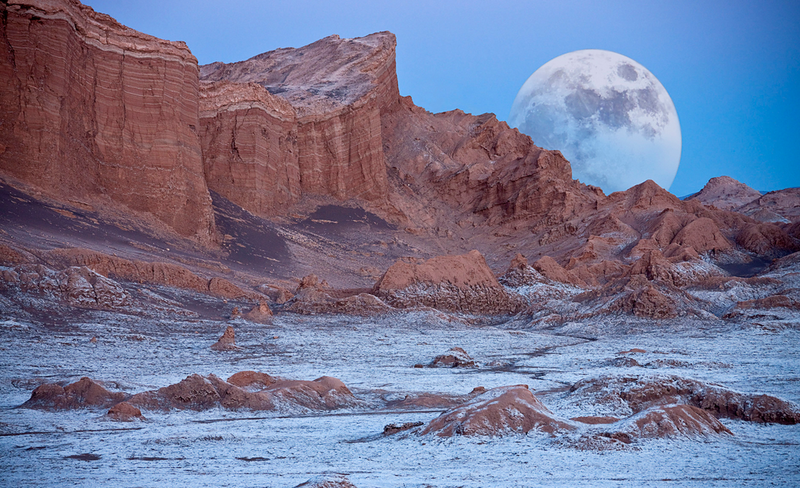 The moon is absolutely astonishing from Atacama. Valle de La Luna (Valley of Moon) in San Pedro. Lastly, the oldest artificially mummified humans remains were found in Atacama desert. To give you an idea, mummified humans from famous Egypt are from 3000 BC. The ones from Atacama are 7020 BC.